Published by jalbertini on January 15th, 2019 in Climate Change, Farm, Hawaii Independence, Military, Pohakuloa, Sacred Mauna Kea, Social Justice, Take Action!, Vigil leaflets. 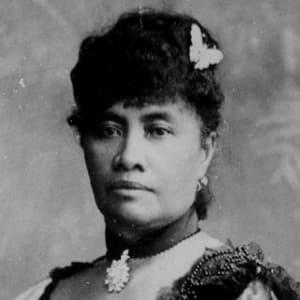 On January 17, 1893 a coup d’état was carried out against Queen Lili’uokalani and the Hawaiian Kingdom by foreign resident business interests with the assistance of U.S. Marines from the USS Boston. An illegal U.S. occupation of Hawai’i has continued ever since. Contrary to popular belief there never was a Treaty of Annexation. Today, occupied Hawai’i is home to more than 100 U.S. military installations, a runaway tourist industry and settler population that has turned Hawai’i into a playground for rich land speculators. Nearly 1 in every 2 households can’t cover basic needs. $92,000 is now considered low income on Oahu. Native Hawaiians (Kanaka Maoli), who make up 20% of the population, now make up the majority of homeless and 60% of the prison population in their own homeland. The sacred Kanaka Maoli temple — Mauna Kea, is being desecrated by scientific development including the 13th telescope – TMT. 133,000-acres at Pohakuloa continue to be desecrated, bombed and contaminated with military toxins, and 90% of food consumed in Hawai’i is now imported to what was once a 100% food self sufficient society. 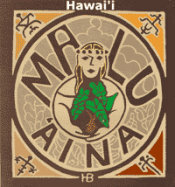 Aloha ‘Aina –Mauka to Makai! Malama Honua! Save the planet! Today, a new military coup of sorts is being carried out in Hawaii. It’s called “Special Ops.” Covert military water, land, and air-based trainings OUTSIDE of military bases are being planned. They will be carried out in coastal nearshore waters, shorelines, and inland locations on all islands involving Navy, Army, Marines and Air Force. This is a gross expansion, normalization, and glorification of militarism and war in our communities. It will only add to the catastrophic consequences – environmental, cultural, etc. of 126 years of illegal US military occupation of Hawaii. In short, it is military training to do to other nations what the US has already done to the Hawaiian Kingdom –overthrow its government and illegally occupy it’s territory. Justice demands the U.S. end it’s illegal occupation and restore Hawai’i as it was –an independent nation of military neutrality. Stop this Military Madness! Free Hawaii Now!